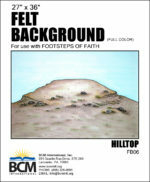 View cart “Tiny Steps Of Faith- Teacher Guidebook Vol. 4” has been added to your cart. 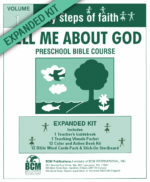 Tiny Steps of Faith, designed for ages 4 and 5, is a Bible-centred, activity-oriented curriculum that lays a foundation of Bible truth for young minds. 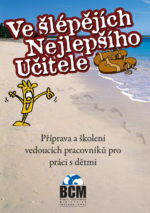 Each of the 4 volume includes Bible teaching presented with colourful plastic figures placed on a plastic Stick-on Storiboard. 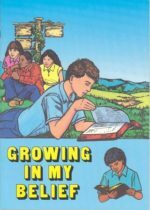 Each lesson includes interest centres, songs, prayer, simple Bible memory work and a weekly workbook page all designed to coordinate with the lesson theme and aim. 15 Lessons. Encourages trust in God’s Word, God’s Son, God’s care, and prayer. 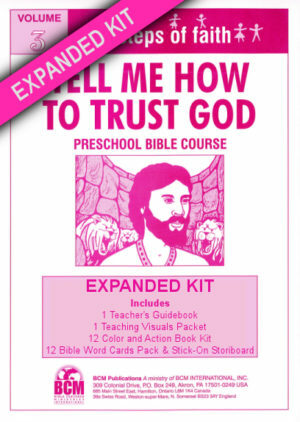 Includes lessons on Noah. Josiah, Daniel, Joshua, David, Peter and more. 60 plastic figures.